Ever since the Women’s Lib movement of the 1960s, editors have produced endless anthologies of stories written exclusively by women to prove that women can write as well as men, and to bring undeservedly obscure female authors to our attention. It must be said that by now we all agree women can write as well as men. And as badly, as it turns out, for sometimes in their enthusiasm, these editors resurrected authors who might best have remained obscure. And so it is with the ghost story. The best-known masters of the field are men: Poe, Sheridan LeFanu, M. R. James, and toss in your favorite contemporary author. Yet there have been some great ghost stories written by women. Therefore it was with some interest that I picked up a volume edited by Richard Dalby entitled Victorian Ghost Stories: By Eminent Women Writers (New York: Carroll & Graf Publishers, Inc., 1988). 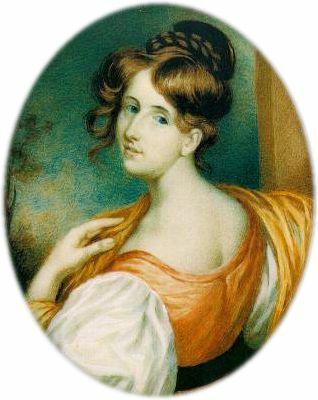 Surely Elizabeth Gaskell is too young and pretty to write horror stories! Editors of retrospective anthologies such as this one have a tough job. There are a small number of stories that are considered classics, and have already appeared in many other anthologies. Does the editor include them, and bore the connoisseur, or leave them out, and frustrate the reader looking for a definitive collection? Dalby includes two classics, Mrs. Gaskell’s “The Old Nurse’s Story” and Mrs. Oliphant’s “The Open Door,” but chose to bypass classic tales from Amelia B. Edwards and Mary Wilkins Freeman for some of their lesser-known stories that are good, but not their best. Word of warning to readers: that single story you read in an anthology may not be representative of the author’s work. Again, an anthology is expected to contain a certain number of well-known authors. But the best women writers of ghost stories by and large are an unfamiliar lot to anyone who doesn’t already read ghost stories. So we get a pedestrian story from Willa Cather and a selection out of Charlotte Brontë’s juvenilia which does not do that author justice. At least the workhorses of the Victorian ghost story are well represented, including Mary Elizabeth Braddon, Vernon Lee, Mrs. J. H. Riddell, and Violet Hunt. I must give the editor full credit for finding obscure authors, for I did not recognize eleven out of the twenty-one authors in this collection. And that was surprising, since some were very well-connected. 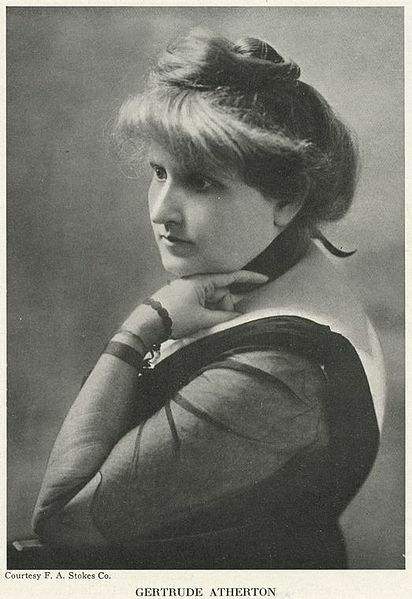 Rosa Mulholland worked with Charles Dickens, Rhoda Broughton was J. Sheridan LeFanu’s niece, Gertrude Atherton was a friend of Ambrose Bierce, and Louisa Baldwin was related by marriage to Rudyard Kipling and Edward Burne-Jones, besides being the mother of a Prime Minister! And while none of these obscure authors rises to the first rank, based on the stories here, several of them are not far behind: Dinah Mulock Craik, Rosa Mulholland (Lady Gilbert), Mary Cholomondeley, and Gertrude Atherton. Besides the two classic stories, my favorites here include Mary Elizabeth Braddon’s “The Cold Embrace,” which ought to be a classic; Vernon Lee’s “Winthrop’s Adventure,” which showcases that adventuresome author’s knowledge of Italian music; and Violet Hunt’s “The Prayer,” which lives up to the title of her collection of stories, Tales of the Uneasy. Why do I like them? Because each is distinguished by good writing, intriguing situations, and a good, hearty interest in mortals and ghosts alike. All are also mildly horrific, with Violet Hunt’s being the most disturbing the more you think about it. In reviewing this anthology, I also looked up biographical information on these women. By and large, they seem to have taken to the pen to support themselves, because they were single, widowed, or had a husband who could not hold a steady job. Making their way by their pens, in an era when women were expected to be active only in the domestic sphere, must have been very tough for these women. Many made their reputation with escapist “sensational” novels or serious “social” novels, with ghost stories as a sideline. A few even achieved fame in more than one field. Amelia B. Edwards was not just a writer of “sensational” novels, but a noted Egyptologist. And Vernon Lee (real name: Violet Paget) was an expert on 18th century Italian music and an essayist, as well as being a cross-dressing lesbian expatriate! I went hunting for more supernatural stories from these authors. Many of the obscure authors are long out of print, and even some of the better-known ones only have print-on-demand or electronic reprints of old editions to represent them. Still, there have been recent paperback collections for Gertrude Atherton, Amelia B. Edwards, Mrs. Gaskell, Vernon Lee, and Mary Wilkins Freeman, and you might find collections for Mrs. J. H. (Charlotte) Riddell or Mrs. (Margaret) Oliphant in your library. Otherwise, since these authors’ works are long out of copyright, there are probably online copies available. I’ll likely read one of these collections for my annual “moldy oldy” Halloween reading. So you’ll be seeing a follow-up from me around the 30th. This entry was posted in Reading fiction, Reviews and tagged Gertrude Atherton, ghost stories, ghost story, horror, Reading, review, short story, supernatural, Vernon Lee, Victorian Era, women writers. Bookmark the permalink. Interesting stuff, it’s always good to hear of a new source of ghost stories – particularly at this time of year. Now how could I miss saying what I was going to do? Thank you; the text has been amended. 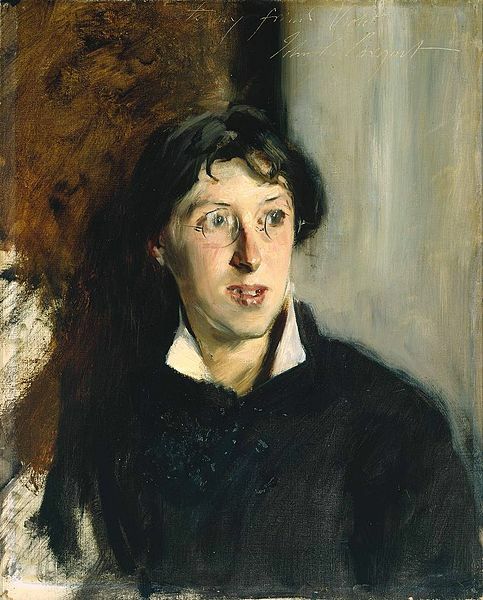 I’ve been a Gaskell fan for years, but have never read her “The Old Nurse’s Story.” Thanks for the tip. While I’m the opposite way, Suzy: the only works I’ve read of hers are that story and her biography of Charlotte Bronte. Sigh. Want to recommend one of her novels? A whole treasury of names new to me (a couple I recognise), but then I tend not to read short stories (which are, of course, the meat and 2 veg of anthologies). Like the new background. I’m assuming, with its focus on women, that it’s in use for this item only. Or is it to stay? OK! so after that description.of Vernon Lee, you know i must read her stories…. I’d actually read one of her stories before, “A Phantom Lover” a.k.a. “Oke of Okehurst,” which as it turns out is atypical of her stories, which are more like “Winthrop’s Adventure,” mentioned above. How do I know this? I’m 162 pages into the Broadview Editions version of Vernon Lee’s “Hauntings and Other Fantastic Tales’!